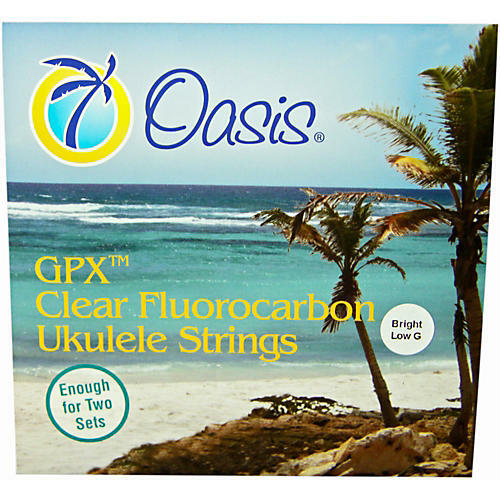 The first thing you will notice about Oasis Fluorocarbon Ukulele strings is their length (63"). This length is at least twice as long as the length needed to string a concert, soprano or tenor ukulele. Cut the string in half with a scissors and you have two sets of strings. Use one set now and save one for later, or use the second set on another ukulele. UKE 8001 bright with low G A/1st .0215", E/2nd .027", C/3rd .030", G/4th .029"